Tahoe athletes have achieved much success in Winter Olympics competition over the past 50 years, from Jimmie Heuga’s bronze-medal performance in 1964 to Jamie Anderson’s gold medal in 2014, with many in between. All had one thing in common: They were alpine skiers or snowboarders. That could change this February, as five cross-country ski racers who trained in the Tahoe region’s Far West Nordic program have a shot at marching in the opening ceremonies in PyeongChang, South Korea. With more than 400 kilometers of groomed trails at five major cross-country ski resorts within an hour’s drive of Lake Tahoe—not even counting the Auburn Ski Club Training Center on Donner Summit—the Tahoe area boasts the largest concentration of cross-country ski trails in the United States. The abundance of trails affords ample training opportunities for one of the world’s most physically demanding sports. The Tahoe area also features more than a dozen downhill ski resorts, easily accessible backcountry terrain and the potential to receive copious amounts of snow. As such, there’s a reason many of America’s top Nordic ski racers come from cold, snowy places without big mountains. In Minnesota, for example, the choice is between cross-country skiing and hockey, not cross-country skiing and Squaw Valley. And yet, there have always been some young local athletes who went the cross-country way. In recent years, however, those numbers have jumped dramatically. Among this group of cross-country racing talents, Matt Gelso, Annika Taylor, Russell Kennedy and Hannah Halvorsen were all born and raised in Truckee, began Nordic skiing at young ages and went on to race locally before leaving the Tahoe nest and traveling the world to compete. Joanne Reid—the daughter of Olympic medalist speed skater Beth Heiden Reid and the niece of five-time Olympic gold medalist speed skater Eric Heiden—was raised in the Bay Area but trained regularly from a young age at the Auburn Ski Club. Joanne Reid’s parents drove her up from Palo Alto almost every weekend to race and train in Tahoe. Her parents were both elite cross-country racers, especially her mother, who, in addition to winning a bronze medal in speed skating at the 1980 Winter Olympics in Lake Placid, New York, has won the Great Ski Race three times and is a regular top finisher in other Tahoe-area races. According to Reid’s coaches, she might as well have been a Tahoe kid. She trained extensively with Schloss and fellow Far West coaches Ben Grasseschi and Glenn Jobe, and credits them for much of her success as a youth. Reid raced for the University of Colorado, where she had one of the best individual seasons in the college’s history as a senior. She won nine of 12 races—with two runner-up finishes and a fourth place—before claiming the 2013 NCAA Championship in the 15K freestyle, which helped lead the Buffaloes to the national team title. Two years later, after her grandfather was diagnosed with Alzheimer’s disease, she transitioned from cross-country racing to biathlon. “My family got his biathlon rifle. I had done very little shooting before then,” says Reid, who likes that biathlon races involve freestyle skiing, her strongest technique. Reid is now on the U.S. Biathlon Team. She splits her time between Lake Placid, where she trains, and Colorado, where she is getting her masters degree in engineering. When time allows, she returns to the Auburn Ski Club on Donner Summit to get advice from Jobe, the resident biathlon coach and 1980 Winter Olympian. The March 2017 Great Ski Race from Tahoe City to Truckee was held in some of the most difficult blizzard conditions in the race’s 40-year history. Matt Gelso, who is no stranger to Tahoe’s cross-country racing scene, didn’t seem to mind, as he powered through the storm to a first-place finish in a field of 328 racers. Although he’s trained the last seven years with the Sun Valley Ski Education Foundation’s Gold Team in Idaho, the 29-year-old excelled in Tahoe-area competitions throughout his youth. 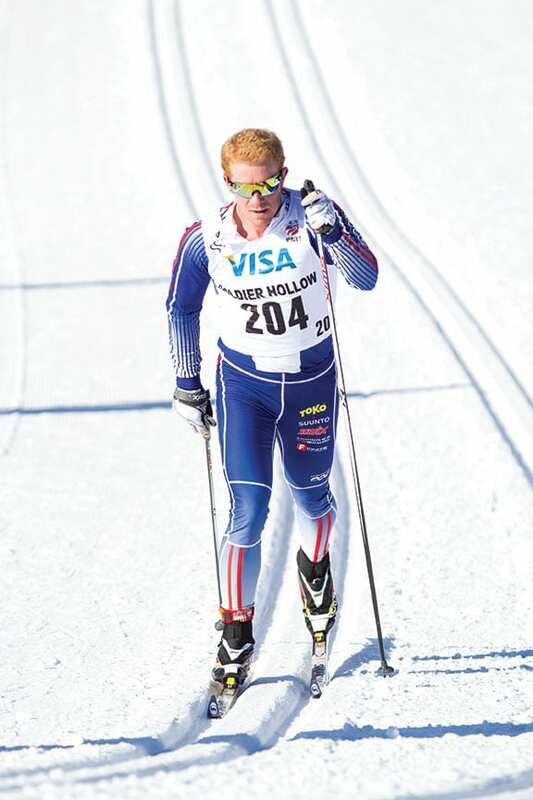 The 2006 Truckee High grad won four Junior National titles with Far West Nordic and earned a full-ride scholarship to the University of Colorado. He went on to win the 2010 NCAA Championship in the 10K classic his senior year and placed third in the freestyle race. He ended his collegiate career with 22 podium finishes. 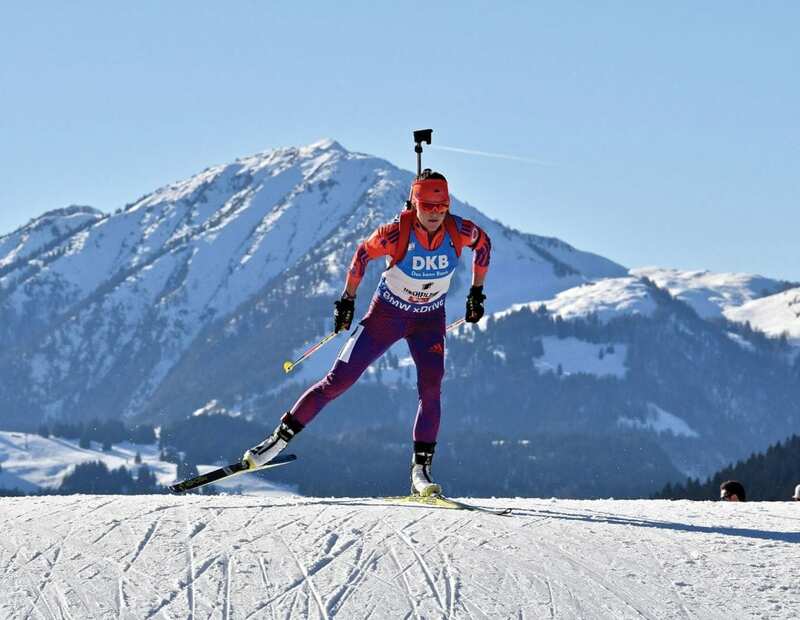 Since then, he’s collected top-three results at U.S. Nationals and raced in World Cup events in Sweden, Estonia, Russia, Quebec and last year’s pre race at the Olympic venue in South Korea. Then, while driving to a national team camp through the thick smoke of a wildfire this past summer, misfortune struck. Gelso resumed training, but was hampered when his concussion symptoms returned. He plans to move forward slowly, not overwork himself, and hope that his years of training will make up for his inability to train over the summer. In the meantime, he works as a part-time bartender, a financial analyst for Westfall Strategies and a real estate agent. Annika Taylor, 24, attended tiny Donner Trail Elementary School on Donner Summit, where she developed a love for cross-country skiing at a young age. Later, Taylor raced for Alder Creek Middle School, Truckee High School and Far West Nordic. 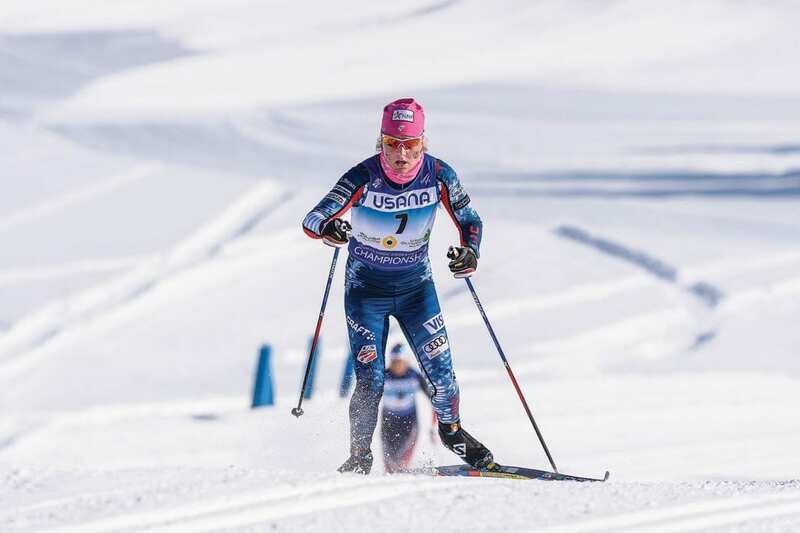 Her ski career really took off at the University of New Hampshire, where she captured several podiums her senior year and earned All-American status with a seventh-place finish in the 15K classic at the 2015 NCAA Skiing Championships. 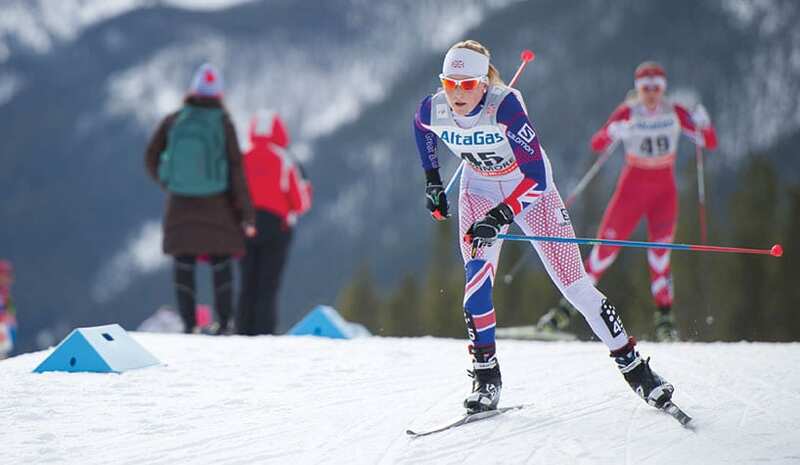 Her standout senior season, combined with her father’s dual British-American citizenship (Dr. Peter Taylor is a Truckee-based obstetrician who has delivered hundreds of Tahoe babies), allowed Taylor to join the British Nordic Ski Team, which trains in Norway. Now, Taylor is fluent in Norwegian, works with a Norwegian coach and has over 20 World Cup races under her belt. Although she lives and trains in Europe, she hasn’t given up on her hometown. “I can’t wait to share what I’ve learned with the Truckee/Tahoe ski communities and be able to infuse new spark and create international training groups for our skiing programs when I come back,” she says. Like Taylor, Russell Kennedy raced for Truckee High and Far West Nordic, and is also training hard to make the Olympic team for another country: Canada, where the 26-year-old holds dual citizenship. Kennedy trains in Canmore, Alberta, home of the Canadian Nordic Team since 2010. 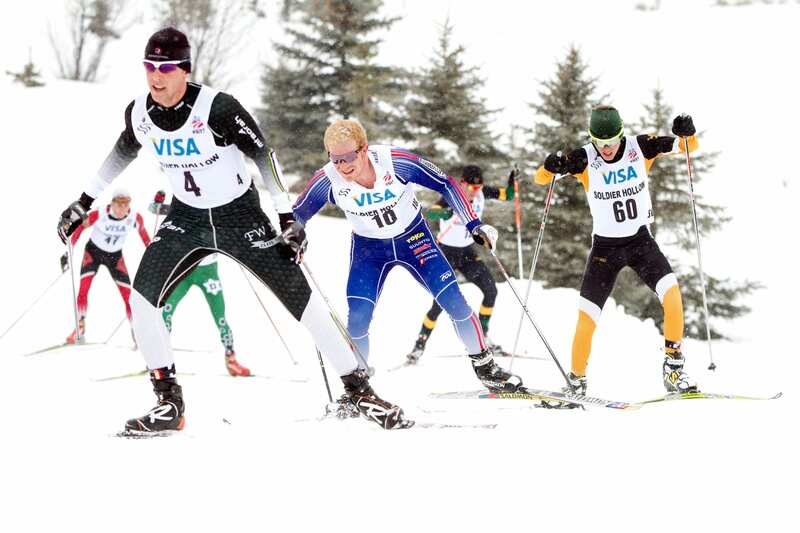 Kennedy was a downhill ski racer until making the switch to cross-country in eighth grade. He credits his Far West coaches—including Schloss, Jobe, Grasseschi and Marcus Nash—for inspiring him to choose cross-country over downhill. 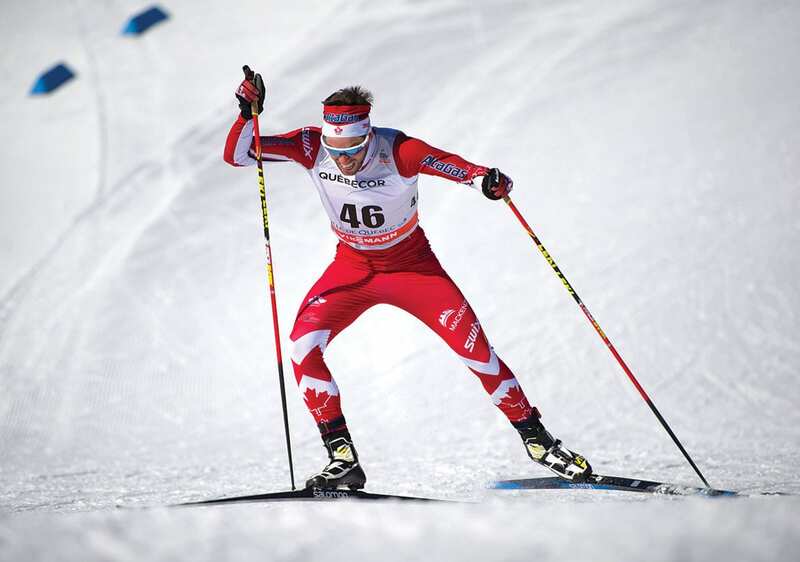 In 2017, Kennedy won the NorAm title and qualified to race in the World Cup. “It’s been a pretty awesome couple of years,” says Kennedy, who will be a back-up guide for Brian McKeever, a legally blind cross-country skier, in the March 2018 Paralympics. While Kennedy looks forward to possibly guiding McKeever in the Paralympics, he’s hoping to compete himself in the Winter Olympics come February. “I don’t want to take any options off the table. The 15K skate is my bread and butter, but I’m working on my sprinting as well,” he says. His former coaches will be rooting for him. “What I love about Russell is his love of skiing,” says Schloss. “He always had a huge smile on his face. I loved to see someone who has that level of passion. At 19 years old, Hannah Halvorsen is the youngest member of Tahoe’s quintet of Olympic hopefuls, but she is the oldest of six active siblings who grew up skiing the trails of Tahoe Donner Cross Country. She graduated from Sugar Bowl Academy in 2016 and is now attending Alaska Pacific University. In her senior year of high school, Halvorsen was named to the U.S. Ski Team’s Development Team. That year, she dominated the U18 Junior division at U.S. Nationals, winning the 5K junior freestyle race, and was one of two Americans selected to race for the U.S. Youth Olympics Team in Lillehammer, Norway. Halvorsen went on to earn two top-five finishes for the U18 Nations Cup team in Otepää, Estonia, and qualified for the World Junior Championships in Romania. She capped her stellar season with a national title in the U18 freestyle sprint at Junior Nationals. While she has a chance to make this year’s U.S. Olympics team, given her youth and the depth of the U.S. squad, it is a long shot. But she’s excited for the year ahead and has set a personal goal of representing her country again at World Juniors. Halvorsen, along with Reid, Gelso, Taylor and Kennedy, are proof that Tahoe’s pipeline of potential Olympic cross-country skiers runs deep, and the quintet serve as inspiration to future young Tahoe athletes who may one day follow in their Nordic tracks. Tim Hauserman is a Tahoe City–based writer who teaches and runs the Strider Glider kids program at Tahoe Cross Country. Also pictured in bib # 4 of the cover photo Auburn Ski Club athlete and biathlon olympic hopeful, Truckee resident Patrick Johnson.